I get this question from clients and associates alike about how to lose weight fast. Your weight is simply your body mass times gravity. If you get a limb amputated or weighed yourself on the Moon you would lose weight instantly but while you are here on this Earth you have to manipulate your body mass to lose weight. Your body mass consists of hair, nails, bones, skin, organs, muscles, fat, etc. Everything that makes you exist is part of your body mass. Did you catch that? Muscle is part of your body mass and overall weight but having and retaining muscle is a good thing. 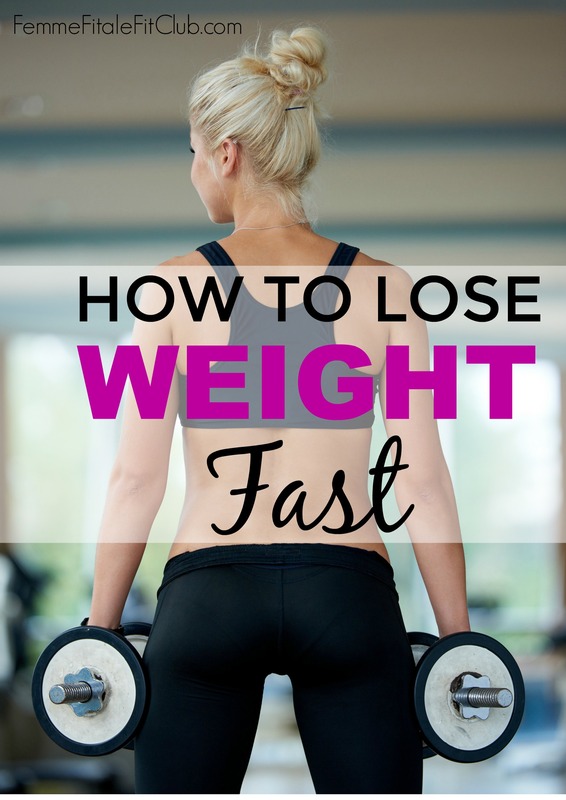 When people ask to lose weight fast TYPICALLY they really want to lose the excess FAT fast. Losing weight vs. losing fat IS different. Learn the difference between weight loss vs. fat loss by watching this video. First let me say everyone’s body is unique and requires different things so one size doesn’t fit all in this matter but I will provide some general tips that are tried and true in this fitness industry. I mean completely stop adding it to your drinks and food. Table sugar is one of the main reasons we are overweight, obese and walking around with big belly gut. It also spikes our blood sugar levels and can lead to insulin resistance, pre-diabetes and Diabetes Mellitus. Just cut it out all together. Also cut back on foods with natural occurring sugar. Aim to consume no MORE than 20 grams of sugar a day. I know folks complain that water is nasty, doesn’t taste good, is plain or they need their morning coffee but that daily morning Joe is causing you to gain weight since it is loaded with sugar, whipped cream, fake flavorings and the like. Let me not even get started on soft drinks like slurpees and sodas and the amount of sugar that’s in them. Even some of these “healthy” juicing and smoothie bars serve up more sugar in their cups than a fast food restaurant shake so be careful and read the ingredients list before imbibing. It is recommended to drink at least 74 oz of water a day. Add an additional 8 oz for every 50 pounds you are over your optimal weight. If you are highly active or live in a hot climate, drink even more. Our premium Infusion Water Bottles with Drink Tracker help keep you on track with your water consumption all day long. Get your heart rate up to at least Zone 3 at 76% to 85% of your maximum heart rate (220 – your age) and aim to burn 10 calories a minute. What that calculates to is 600 calories each and every workout which totals 3,000 calories/week. Considering there are 3,500 calories in a pound – remove 500 calories worth of food from your plate each week and you will lose at least 1 pound a week. More if you are even more disciplined. Do not think deprivation diet. That is NOT what this is saying. Do not go below eating and/or drinking less than 1,200 calories a day but make sure that you do cut back on the amount of calories you eat from where you are now because when coupled with Tip #3 this will ultimately give you a caloric deficit. If you want to lose at least 2 lbs a week you need to have a caloric deficit of at least 7,000 calories since 1 lb = 3,500 calories. Please note – continue to eat your from the major food groups. Cut out simple carbs (Tip #1) not complex carbs. As part of your exercise routine, you should be lifting heavy weights that are between 70% to 90% of your one rep maximum. This isn’t a game and it is proven that building muscle not only burns more calories than fat per hour, it stokes your metabolism and you lose weight while sitting because your muscles are firing. Do not work the same muscle group every day because you increase your risk of injury and your muscles worked need to rest, but aim to work a different body part each day. After 5 days you should have hit all of your body parts (i.e. back, legs, glutes, arms and abs). Steady state cardio is not only boring, it is not effective to lose weight fast. It does benefit your cardiovascular system which is necessary but if you want to burn the fat to lose weight, incorporate intervals. If you are using a treadmill change up the incline and the speed for 30 minutes. Here’s a sample treadmill cardio workout below. That food has no nutritional value, is full of salt, sugar and transfat which is helping your body hold on to the weight and increasing the circumference of your waist. Cut out the junk food (i.e. candy bars, cakes, pies, ice cream), fried food (i.e. fried seafood, fried chicken, French fries, donuts, etc. ), fast food (i.e. Five Guys, McDonald’s, Wendy’s, etc.) and processed food (typically food that is manufactured in a factory – not grown from a tree, plant, out or in the ground – and comes in a box). Prepare your own food and if you are short on time, find a day where you can prepare at least 3 to 4 meals in advance for the week so all you have to do is grab and go. That may seem like you should be doing the opposite but eating frequent small meals keeps your body from getting hungry to the point it holds on to the food you consume to store as fat vs. burn for energy. These meals should observe Tip #7 and should include 2 snacks. Also, never skip breakfast – it gives you energy for the day and helps curb your appetite. Basically if you observe Tip #2 that includes this but I thought I would call this out directly because I want you all to know that you need to cut this in order to get to your quick weight loss goal. Each gram of alcohol has 7 calories so why waste your calories on that vs. water which has 0 calories? Lack of sleep is actually one of the biggest reasons many of us are overweight. Sleeping helps your body repair and rejuvenate. Try and get at least 7 to 8 hours of sleep a night. Turn off the TV, record your favorite show and start counting sheep. Proper amounts of sleep will also help you destress. Stress produces a hormone called cortisol which promotes fat and weight retention around your waist. It can also lead to chronic disease. So do what you need to do to cut the stress out of your life. Observe these tips consistently for at least 30 days and you will experience some weight loss. The rate in which you experience it will be different from person to person but focus on your own journey and reap the results. 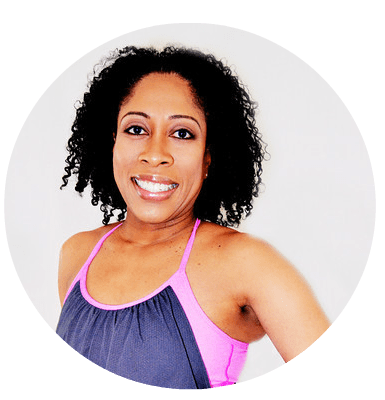 If you are ready to make a change but need a plan, coaching and guidance then consider working with me so I develop the blueprint that you follow to realize your fitness goals. Learn more here: http://bit.ly/FFFCPersonalTrainer and let’s get started working together. 7 Replies to "How To Lose Weight Fast"
Combine all that with a good workout program and the fat WILL melt off very very soon. I did 10kg in 2 months! 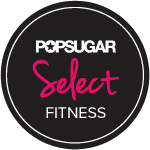 Exactly – that is exactly what this post is promoting – caloric deficit and quality calories. Thanks for stopping by. Yes yes yes do some of the above for your health but the best way to feel better about yourself instantaneously 🙂 Throw your shoulders back, stand up straighter, walk TALL and strong, shift your self talk and smile. Great tips Diatta. I used to eat 5-6 meals a day, now I just eat when I’m hungry and only eat until I’m almost full. I love that tea btw. for me curting th suggar is the most difficult step.. but i need to follow it! All these tips are great! So many people have no clue that sugar and processed food are causing them to gain weight. Our food industry makes it seem like these conventional foods are normal, but we were never made to consume these artificial foods. And exercise is so important! By replacing their foods with wholesome, quality foods and becoming more active, there body will be completely transformed! People think to lose weight, you must starve yourself. However, that’s simply not true. I love that you put to eat 6 small meals a day! It keeps your metabolism active and great quality foods won’t cause weight gain!